Based on what I’ve read in some other reviews I think it’s worth noting here that the Amazon customer review star rating system is not intended to be an objective critical analysis tool. The star rating system is intended to help communicate how much a reviewer personally enjoyed a product (which is completely subjective) and not to communicate an objective critical judgement as to whether or not a product is a “good” product or a “bad” product. To me this means that it doesn’t really make sense for one reviewer to dispute another reviewer’s star rating, because really, who is that reviewer to try and say how much another reviewer “liked” or “didn’t like” a product? That being said, I “liked” Gary Allan’s new album but I didn’t really “love it”, though I almost loved it. This means it’s a good album and it’s worth buying. This is my first Gary Allan experience actually. First track, right away I thought “Steve Earle.” That comparison faded over the course of the album, but the two singers do share some qualities. They both seem to have a certain rebellious/outsider quality and a certain kind of a gritty badassness that can be refreshing. Some Steve Earle fans might balk at the comparison but I believe the similarities are there. One of my biggest obstacles to loving this album completely is the relative forgettableness (and corniness really) of the last four tracks compared to the first eight tracks. 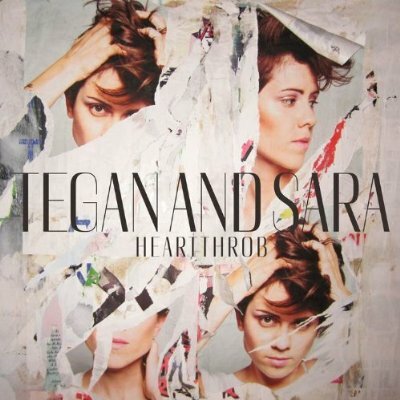 “Tough Goodbye” is sad and poignant, “Every Storm (Runs Out of Rain)” is poetic and hopeful, “Bones” is memorably sassy (I love that it’s multiple bones and not just one bone…um, that’s what she said…), “It Ain’t the Whiskey” is beautifully introspective, and, well, you get the picture – the first eight are great. The last four ain’t. But oh well. For music appreciators who have never heard of Gary Allan, this is a fine introduction (at least it was for me), enough to peak your interest to explore his catalog, and for Gary Allan fans I would think this would be a welcome addition to his discography. Eight out of twelve are really quality tunes. If this was baseball, a .750 batting average would make him the greatest hitter who ever lived. That’s kind of funny when you think about it – is it harder to get a base hit than it is to write a great song? 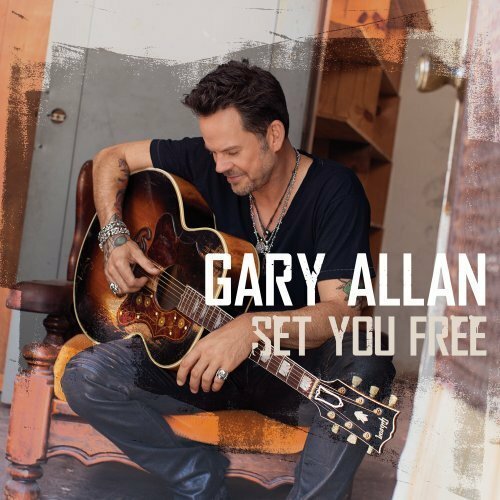 This entry was posted in Album Reviews and tagged Bones, Every Storm (Runs Out of Rain), Gary Allan, It Ain't The Whiskey, Set You Free, Tough Goodbye on January 27, 2013 by Constant Listener. 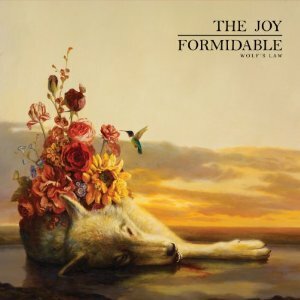 I reached for this album because of the cover art – a wolf with flowers growing out of its side lying in front of a glowing orange sunset. Then I noticed that the wolf appeared to be dead. Then I looked up the meaning of the album title, from which I learned something that I didn’t know before. I didn’t notice the hummingbird feeding on the dead wolf’s flowers until later. 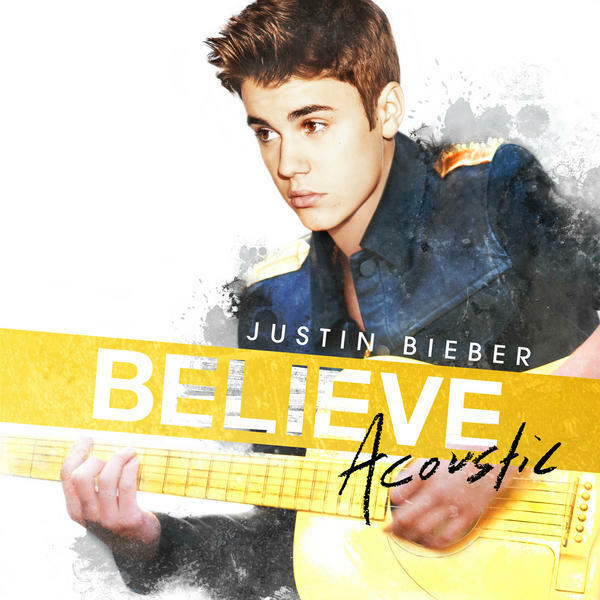 I found myself thinking about dynamics and about contrast as I listened to this album. 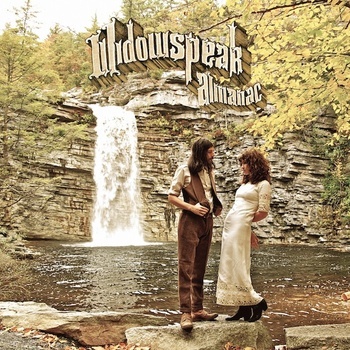 The music, the lyrics, the album title, the cover art – everything, even the band name, seems to in some way reinforce a theme of opposing forces. But much of that can be set aside for the listener to discover or not, to care or not – the most important question remains – is this music worth purchasing? The answer to that question is yes. This entry was posted in Album Reviews, You Tube Song Samples and tagged Cholla, Silent Treatment, The Joy Formidable, This Ladder Is Ours, Wolf's Law, Wolf's Law Album Review on January 24, 2013 by Constant Listener. Just when I was starting to wonder if I would ever find another band to get excited about, I found The Lone Bellow. 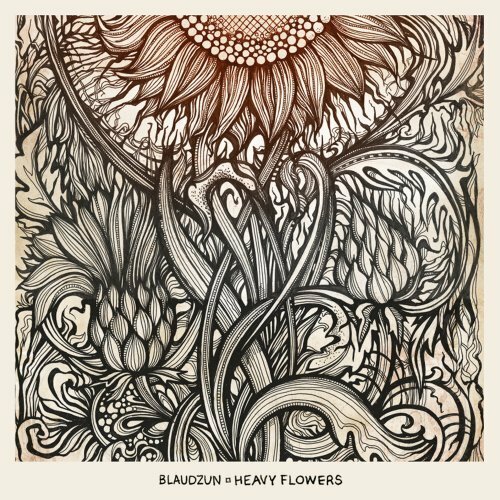 This is simply a great record from a passionate, up-and-coming group that many, many music fans will feel lucky to discover this year. Even with more than eleven months to go, I feel lucky to have discovered what I believe will continue to be one of my favorite musical moments of the year – the intense dynamic shift at the 3:39 mark on the gorgeous track “Tree to Grow.” Listen loud on your best headphones please. You’ll find this harmony and acoustic-infused full length debut album is a little bit country and a little bit rock and roll, but it’s also a little bit folk, pop, and singer-songwriter, with both an independent streak and just the right amount of popular appeal – for fans of earnest American music, this porridge should taste not too hot and not too cold, but just right. The Lone Bellow do sound a little like a lot of bands that are popular now, but there’s a reason for that. It’s because they are approaching their listeners from a place of authenticity, where systems of genre and classification matter less, a place where country meets city, old meets new, and independent artistic effort meets widespread popular appeal. There is a certain portion of pop culture that continues to embrace that whole old timey as new timey approach, and if it means that bands like The Lone Bellow find success, then yay for pop culture. The internet is a wonderful place for discovering great music. I found these guys on NPR, and then followed a trail from Amazon to the band’s website to YouTube, where a trio of videos convinced me to buy their album. As of this writing you can type TheLoneBellowVevo into Google or YouTube and find three beautifully shot black and white videos to enjoy. But notice the sweat on front man Zach Williams’s forehead just past the three minute mark in the video for “You Never Need Nobody.” It’s an all too human moment that is maybe not so common in artsy black and white photography. Perhaps it’s just that he is sitting right in front of a crackling fireplace, but I’d like to think it’s honest sweat for an honest record, delivered with the kind of care and feeling that will keep honest music fans listening for years to come. 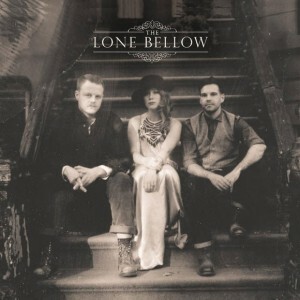 This entry was posted in Album Reviews and tagged album review, the lone bellow, the lone bellow album review, tree to grow, you never need nobody on January 22, 2013 by Constant Listener. I flip-flopped on these guys. Maybe this means I should (or shouldn’t?) go into politics. At first I was skeptical – just another group of poperabots, carefully manufactured for maximum revenue potential and marketed to the mindless masses who will shell out the cash for anything as long as it sounds pretty and makes the masses feel better for a minute. But then, the more I listened, the more I liked, and the more I realized that when it comes to The Tenors it’s really very simple – these guys can sing! They have amazing voices, and they’re willing to lend their amazing voices to whatever strikes their fancy. There’s Elton, there’s Bee Gees, there’s Dylan, there’s classical, there’s something original, and even that old spiritual-goosebump-gang chestnut “Amazing Grace” makes an appearance. And it’s all sung beautifully. Sometimes overdone and sometimes cheesy, but maybe that’s okay if it’s beautifully overdone and beautifully cheesy. Anyone who is too cool for school will probably not be into this stuff, and although I probably won’t ever be totally down with four dudes singing an early 80’s Streisand hit about being a “Woman in Love” (in Spanish), I must admit that these guys have great talent, and they deserve the support of lovers of beautiful singing everywhere. 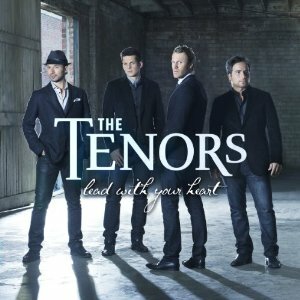 This entry was posted in Album Reviews and tagged Lead With Your Heart, The Tenors on January 21, 2013 by Constant Listener.